June 2017 issue on sale now! | What Hi-Fi? June 2017 issue on sale now! 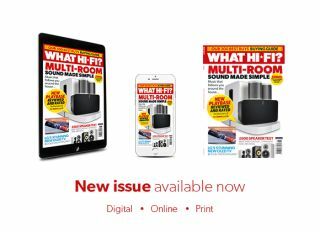 Managing your multi-room music with Sonos, the ins and outs of Dolby Vision, DACs and decent televisions, as well as an exclusive tour of Focal's French headquarters - you'll find all this and more inside the June issue of What Hi-Fi? The days of your hi-fi being tethered to one room are over. Now you can have multiple speakers in multiple rooms playing from one single source, all connected by wi-fi. Sonos' multi-room setup is just one of the ways to achieve this, but it's certainly been a key to the company's popularity - especially among Apple users. Ease-of-use is undoubtably an attractive trait, but is Sonos the best option? We take a closer look at the system, and measure it up against some of its rivals too. A good Digital-to-Analogue Converter (DAC) has always been an important part of the hi-fi setup (even if it is a little difficult to use them with iPhones), and today they are more useful than ever before. Whether you're storing your songs on a NAS, laptop, USB stick or streaming it over the airwaves from Spotify or Tidal, a DAC can be the best way to get music through your system. The Cambridge CXN has remained our favourite DAC for the past two years, but can the new Oppo Sonica DAC knock it off its perch? Dolby Vision is the latest development in HDR (High Dynamic Range). Prior to CES 2017, it was thought only certain products would be able to support the format; but the ability to update your existing players and TVs through firmware updates has made it much more attractive to both producers and viewers. At the £600 price point, B&W and Dynaudio have some pretty impressive speakers in the form of the 865 S2s and the Emit 20s, respectively. But in this Group Test our old favourites are going up against Arcaydis Audio's new EB1S speakers and the latest standmounters from ELAC. It's been six years since the French audio company Focal merged with Naim Audio, and the two manufacturers have made a big success of their European cooperation. We're yet to be disappointed by any Focal product that's come through our testing rooms, each one receiving an impressive four or five stars. As such, it seemed fitting that we paid Focal a visit at its headquarters in Saint Etienne. If you want an inside look into a company that released the world's most expensive headphones, then this is sure to satisfy. Focal makes a second appearance in this issue, with a £3250 pair of headphones that are our bank-breaking Temptations for this month. The company has never made anything as pricey as these, but the sonic ability that comes with it is mind-boggling. This is a product you'll want to be saving your pennies for. Our First Test pages keep you up to date with the latest products. This month features a couple of five-star televisions from Sony, as well as the newest OLED. There's also a music streamer from Arcam, and a look at the latest LG smartphone. We also have the latest hi-res portable music player from FiiO, and a solid wireless speaker from Ultimate Ears. The June issue is on the shelves now and the pages are packed full of kit - happy reading!